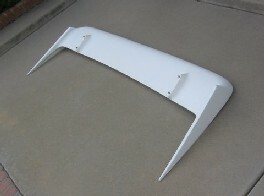 This is the wing designed by Dennis Mecham for the 1982 MSE Race/Street program. 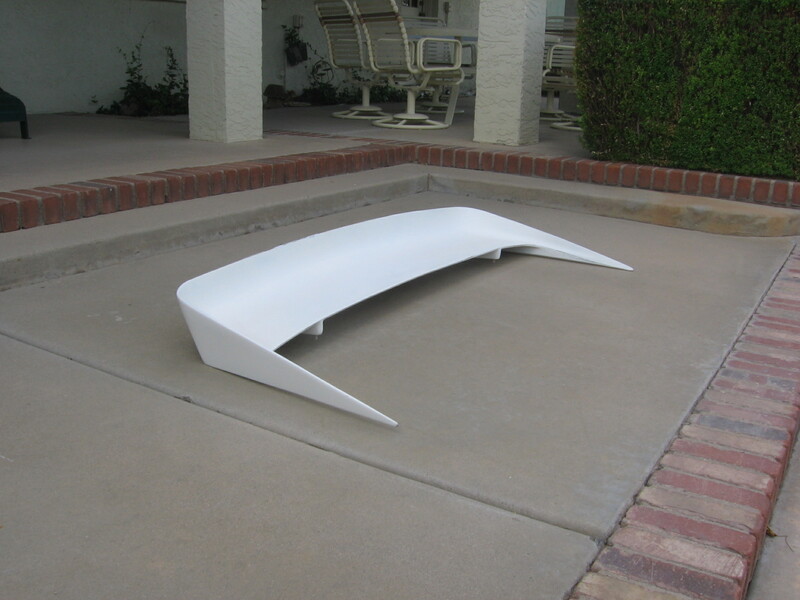 The wing was used on the Huffaker built race cars to win the SCCA Trans Am Championship in 1982. According to GM Wind Tunnel Engineers who tested the wing to "prove" our design, the part is "very efficient making high down force numbers without adding significant drag". It was also featured on each MSE street car produced in that year and subsequent years. The Aero Tail was updated in 1984 and '85. This design is taken from the original with two exceptions. The original was a solid molded product and as such was a bit heavy and prone to stress cracks due to resin rich areas in a few of the corners. This new part is a hollow, hand laid part that is both stronger and lighter than the original while being true in dimension and design. 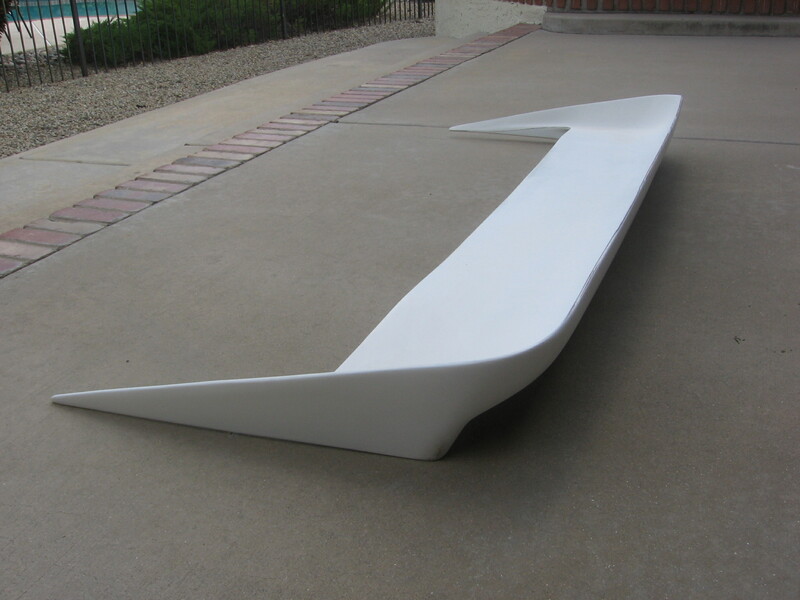 We at Mecham Design, Performance are pleased to offer the original Aero Tail for our customers. 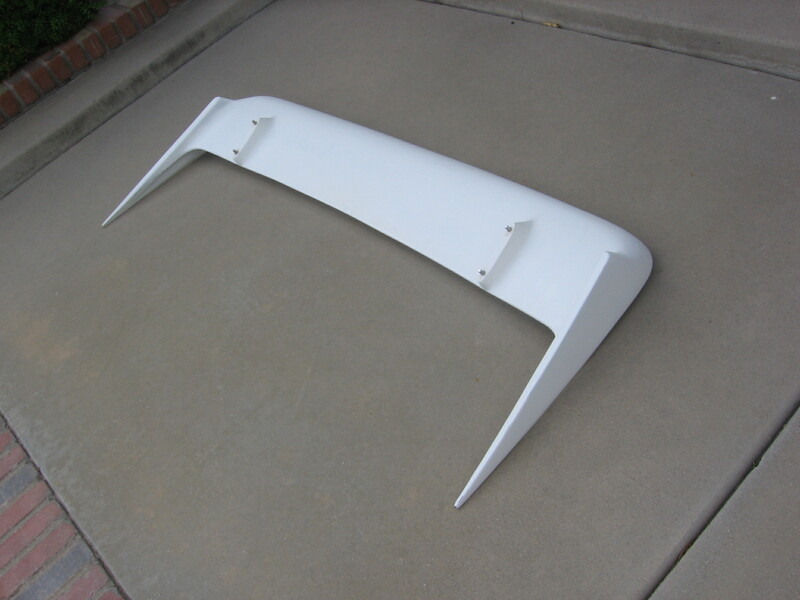 This wing is a direct bolt on replacement for Gen 3 Firebirds that were equipped from the factory with a rear wing that was a band across the tail with two stantions. Prices, availability, and specifications are subject to change. Prices do NOT include shipping. © Copyright 2002-2011 Mecham Design, Performance.